Ashampoo WinOptimizer is a simple yet effective system tool that maintains your system as well as increases its performance to make it run like new. The application not only allows you to clean and defrag your system but also helps you in optimizing it with ease. The user interface of this cleaning and tweaking utility is quite friendly, thus you can easily perform the actions you desire. The process manager offers more privacy and security. It allows you to scan for duplicate files that are stored on your system in different locations. The system optimizer comes with a lot of features on-board, such as Game Booster, User Rights Manager, System Restore Manager, Backup Manager, etc. Apart from this, its Live Tuner feature proves really useful for speeding up any application at launch as a background task. Download Ashampoo WinOptimizer to clean, protect, and optimize your system with ease. Regarding system maintenance, the tool offers umpteen options. It automatically deletes all web browsing traces and temporary files from your system. The system optimizer not only allows you to delete unnecessary files from your system, but also lets you recover accidently deleted files with the help of Undeleter. You can even split up large files, if needed, with File Splitter. In context of improving system performance, the free version of WinOptimizer comes with numerous options like Internet Tuner to optimize Internet connection, Startup Tuner to speed up Windows startups, Process Manager to view and manage running processes, Uninstall Manager to review and uninstall various applications, and a lot more. 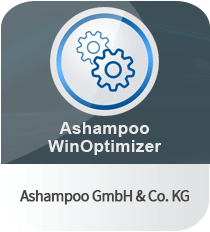 Ashampoo WinOptimizer cleans, protects, and optimizes your system to provide maximum performance. The application frees your system space, fixes errors, and maintains its performance. Best of all, it protects your privacy and lets you customize your Windows environment. In nutshell, Ashampoo WinOptimizer is pretty complete system that has excellent ability for optimizing a system and eliminating junk files and system errors, permanently.